Vancouver home prices may be falling now, but their record-high levels throughout 2018 have earned Vancouver the distinction of being ranked the world’s second-least affordable city. 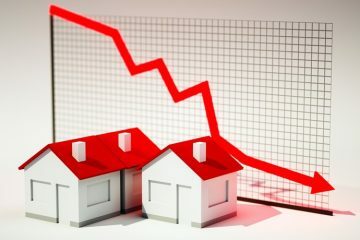 The ranking was published as part of Demographia.com’s annual housing affordability survey, which measured prices in 309 metro markets in eight countries. Vancouver was beat out only by Hong Kong, where median property prices are 20.9 times the median household income. Vancouver’s multiple of 12.6 was enough to earn it second place, knocking out Sydney, Australia. The other Canadian city to make the top 10 list was Toronto, where median home prices at 8.3 times median household income. TMG The Mortgage Group has been busy forming strategic partnerships, with two announcements made just this month. The first deal involving SafeBridge Financial will see both brokerages “align the natural synergy between them,” according to the announcement. That includes providing TMG brokers and agents access to insurance and wealth management expertise from SafeBridge Wealth Solutions. 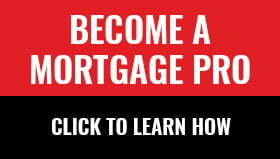 “With the markets changing almost daily, and the many questions consumers face about their mortgage, future real estate purchases and their overall financial situation, a partnership between a mortgage agent and financial advisor is essential,” SafeBridge Co-founder and Chief Strategic Officer Chris Karram told CMT. Street Capital Group announced last week that it has entered into Phase II of its “strategic realignment,” which has involved a workforce reduction of 30 positions. The lender saw its mortgage originations tumble 32% in 2017 compared to the previous year, while new originations in Q3 2018 were down another 33%, largely due to a lack of competitive funding for prime uninsurable mortgages. The Financial Consumer Agency of Canada (FCAC) released a report last week critical of how Home Equity Lines of Credit (HELOCs) are being used across the country. While the report notes that borrowers would benefit from greater upfront information about HELOCs, it adds that they should also be proactive in familiarizing themselves with the product prior to applying. At least one group is forecasting Canadian bankruptcy rates to rise in 2019. The Canadian Association of Insolvency and Restructuring Professionals (CAIRP) released a new study analyzing 20 years of data that found a roughly two-year lag between interest rates starting to rise and an increase in consumer insolvency. For example, when interest rates started rising between 1996 and 2000, consumer proposals or bankruptcies spiked by 22% between 1998 and 2003. More than 70% of CAIRP’s 1,500 licensed professionals expect insolvency filings to rise over the next five years.